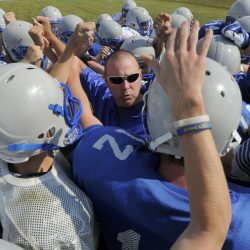 The former Portland coach led the Clippers to state titles in 2010-11 and will now coach an eight-man team. 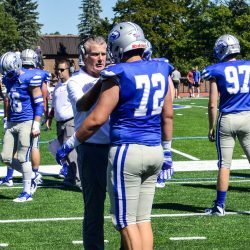 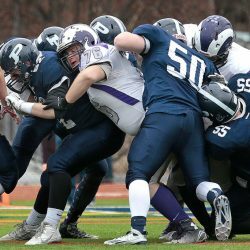 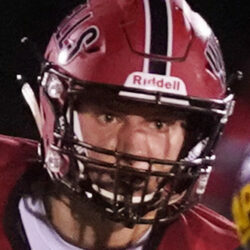 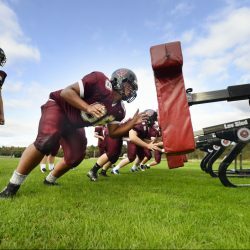 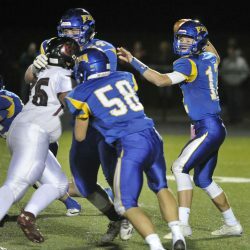 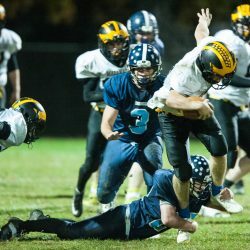 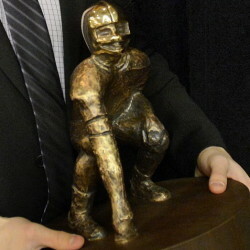 The awards honor Maine's top senior linemen in high school football. 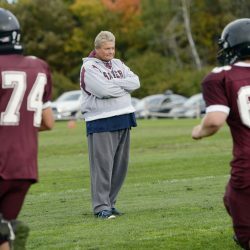 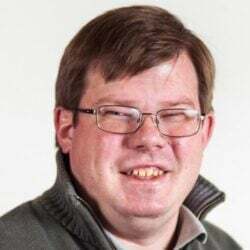 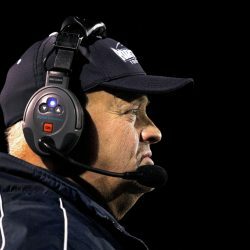 The former Windham offensive coordinator replaces Jim Hartman, who retired after seven seasons. 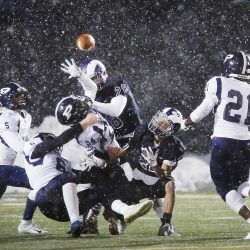 The senior running back/cornerback excelled on offense, defense and special teams for a team that won its third straight state championship. 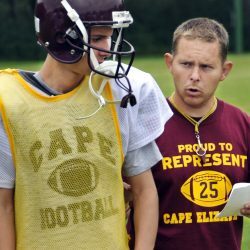 Aaron Filieo returns to his roots after 15 years leading the Capers. 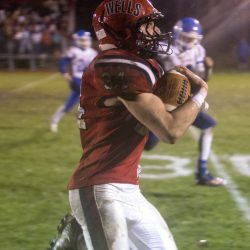 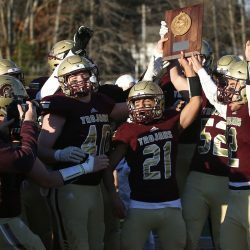 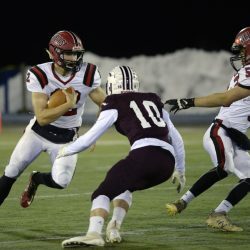 Tyler Bridge scores five touchdowns and passes for another as the Warriors win their third straight state championship, and second in Class D.
Behind Tommy Springer's passing, Trevor Chase's explosive runs and a stout defense, the Hawks beat Brunswick, 49-0. 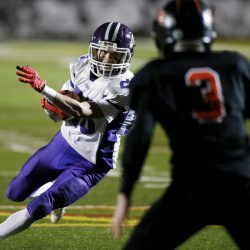 Tyler Pelletier's punt return in the fourth quarter proves the difference in a 13-12 victory. 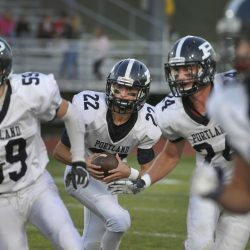 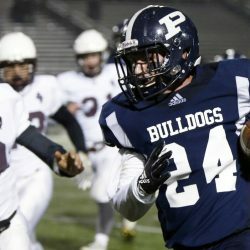 Anthony Bracamonte scores four touchdowns in a 49-14 win over Portland. 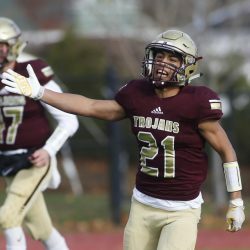 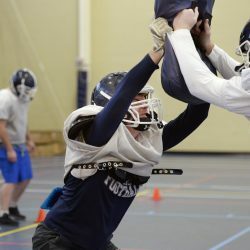 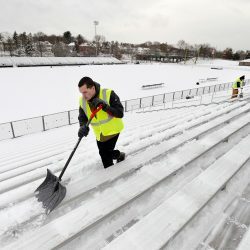 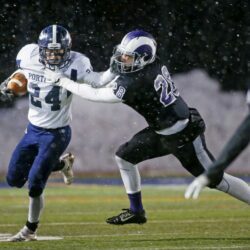 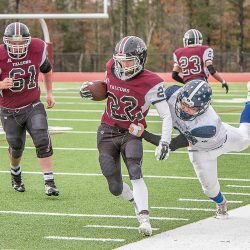 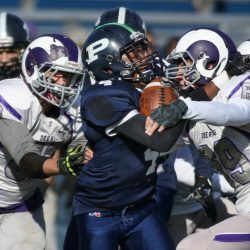 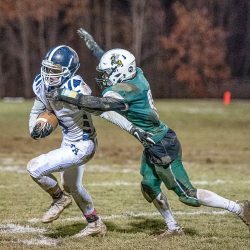 The Warriors will go for their third consecutive state football championship Saturday against Foxcroft Academy. 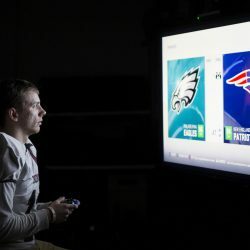 The popular Madden game has applications for high school football players and coaches. 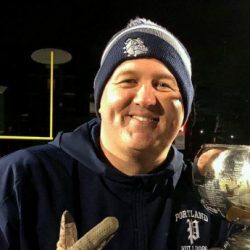 Portland's best hope for success, says one rival coach, is through the air. 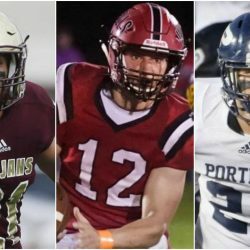 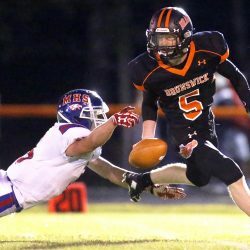 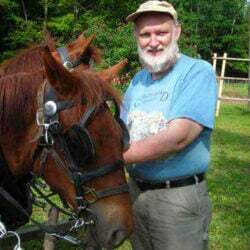 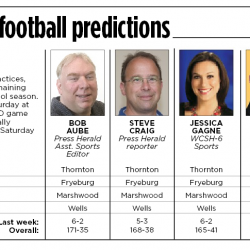 The four southern Maine champions are heavy favorites according to our panel. 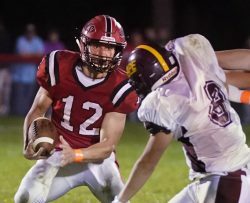 The Dragons have overcome injuries and inconsistent line play to reach the state championship game for the fourth time in five years. 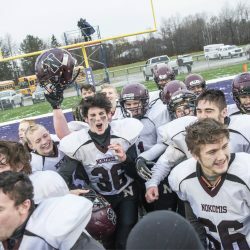 The Raiders rebounded from an opening defeat to reach their first state championship game. 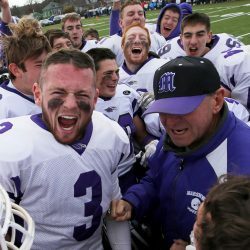 The Raiders will play for the Class C state championship after beating top-seeded Leavitt in the South final, 20-13. 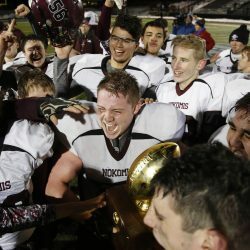 The Warriors capture their regional title, beating Hampden 13-6. 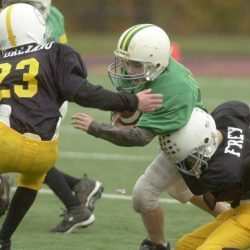 The Falcons, who dropped to the developmental league after a 1-7 season last year, finish with a 9-1 record and a title. 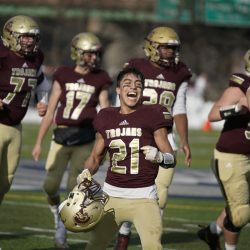 The Golden Trojans advance to the state final with a 53-21 win over the defending state champions.